But have you stopped to consider what exactly it is you are requiring? Is it the Sales Results, or the Sales Headcount? Both do not automatically go together. Outsourcing your Screening, Hiring and Onboarding processes to a company that has accumulated many years of strategic hiring in this area has many benefits that result in a lessened amount of ‘risk’ and costs. Being able to understand and clearly articulate the deliverables of the role you are hiring for (i.e. net new business acquisition, existing customer management, etc. ), and from that developing an accurate and realistic job description, not a ‘wish list’. Assigning a key contact, preferably in Sales themselves (not HR) to act as the primary and principal ‘screener’. This seems to be done mostly these days by identifying key words in an Applicant Tracking System, which does not reflect or capture any ‘subtleties’ of that person’s skills, just that they used a lot of key words in their resume. This approach though is slowly going by the wayside as employers are realizing that there must be a ‘human’ intervention / investment made at this stage to not let a good candidate slip through their fingers, and perhaps to a competitor. But this takes time that many of those on the Sales Management team just don’t have. Once properly screened by someone either in Sales and / or possessing a very good understanding of the skills required for the role, interviewing can begin. 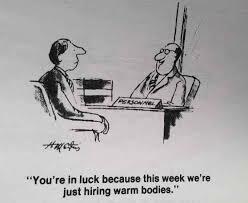 However again, at this stage for the best results, interviews need to be conducted by those with a Sales background, not HR. More often than not, it takes a Hunter to know a Hunter, as is said. More detailed expectations of the role should absolutely be shared at this time with the candidate, as well as discussions of what your culture is like, what to expect working for your Organization in Sales, and perhaps even meetings with current Sales People can be arranged to allow the candidate to speak with some of his / her future colleagues. Vetting / Reference Checking of the final candidates. This step could be managed by HR now, provided they are given in writing what questions to ask from the person to whom the candidate will be reporting to. Final Negotiations on salary, start date, onboarding details should also be discussed with their Direct Report so proper expectations are set. And it is crucial that Sales Management is involved in this process, even if it takes time away from their own duties. Some tough but insightful considerations to make when hiring Sales People. If you or your Sales Management may not be entirely comfortable with fulfilling all the ‘tasks’ of this process, or simply do not have the time to invest into a customizable Sales Hiring Process, perhaps Outsourcing this function from start to finish may be a new and innovative option to consider before automatically hiring for your next Sales role. If you would like to investigate the benefits further and take a fresh approach in approaching your Sales Hiring requirements, now may be the time to consider Outsourcing this function to a company that has extensive experience in determining what is needed to select a winning candidate who will not only be a great fit with your culture, but also highly competent in producing the results you are looking for. We have access to an extensive network of Professional Sales People to draw from and will effectively align their skills and experience with your requirements on your behalf before we present them to you, and coach you on the balance of the Hiring Process thus reducing much of the risk that goes with successfully navigating the Hiring Process for Sales People.